Posted May 9th, 2014 by David Porter & filed under General, Hot Topics, Social. 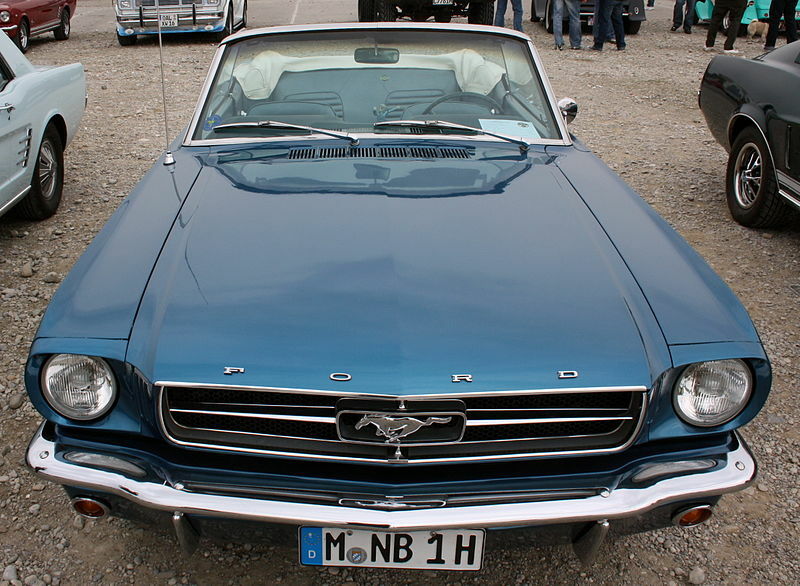 The FordMustang was launched in 1964, since when what technological changes? Every year is rammed full of anniversaries. 25 years since that, 10 years since this and a century since the other. The centenary of the start of the First World War is the biggy at the moment. ‘You can just barely see them through the window of the No. 7 subway as it rattles into the elevated station in Corona, Queens: a gigantic steel sphere, two rocket ships, and towers that appear to be capped by flying saucers. People love to make predictions. You could argue that each bet placed, each business move, each insurance decision is a form of predictive futurology. But what did people back in 1964 get right or wrong? The film franchise Back to the Future is reputed to have been seen as a guide to forthcoming technology. Well, we haven’t yet got time travel nor hover-boards, but perhaps we will. 1. Picturephone, allowing people to see who was calling. Bell System were first with this idea which took awhile to become accepted but is now alive and well in Skype and Facetime. 3. Robotics, in the sense that we would now call them animatronics. Walt Disney’s ride It’s A Small World premiered robotic animation where characters sang, spoke, and made some almost life-like gestures (smiles, blinks, heads turning). 4. The Ford Mustang two-seater, mid-engine sports car came along, with its long hood and short rear deck and became instantly very popular as it has done ever since. 5. Touch tone phones had arrived at Seattle in 1962, but by 64 most people had still not seen them or used the technology. The article identified three areas of technological change confidently predicted but which haven’t exactly happened just yet. 1. Colonies on the moon, underwater and in Antarctica: The “Futurama 2” ride from General Motors, which featured images of people living in places where they clearly don’t. 2. Paved-over rainforests: Another image from “Futurama 2” featured a machine that used a laser to cut through the rainforests and left behind paved roads. Although it could be argued that many rainforest have been concreted over by modern development. 3. Jet packs: There were demonstrations of jet pack power at the fair, with men wearing them and zooming around the grounds. Sadly, they remain a mode of transport found mainly in science fiction. The Daily Mail has pictures and a video.